Two weeks ago, when I walked into the apartment in the evening, back from a business trip, my wife announced triumphantly that she had discovered a treasure trove on Youtube, shows from a series on Italian TV that we never even knew existed: Commissario Montalbano. Readers will be forgiven if they look blank at this announcement. I will allow that Montalbano is not (yet) a household name. Yet my wife’s announcement filled me with great excitement. The detective stories written by the Sicilian-born writer Andrea Camilleri about Salvo Montalbano, Inspector of police in some modest township in western Sicily, have gripped me ever since I stumbled across one of them some six years ago. I read them in the original, which I must say is not easy. Already reading in Italian is slightly more difficult for me than reading in English, and Camilleri writes in an Italian which has been heavily saturated with Sicilian dialect. The first time I ventured into one of Camilleri’s books I was reading like a child of 5 for the first ten pages or so until I got the hang of it and could stop asking my wife every ten seconds what this word or that word meant. It’s still tough going, but the dialect really helps to drop you into Sicily. Quickly, though, I was drawn into the stories and forgot to mentally tut-tut over the faces of the protagonists, and we have now eased into a nightly ritual of hauling out the computer after dinner, pouring ourselves a generous glass of wine, and watching a Montalbano. I have always thought that this series of detective stories, inserted as they are so deeply into the Sicilian reality, would have little echo outside Italy. Imagine, then, our astonishment when a few days ago (this coincidence of dates must have some cosmic meaning …) my wife read out an article at breakfast from the Guardian newspaper commenting on the popularity of the Italian Montalbano TV series in the UK. 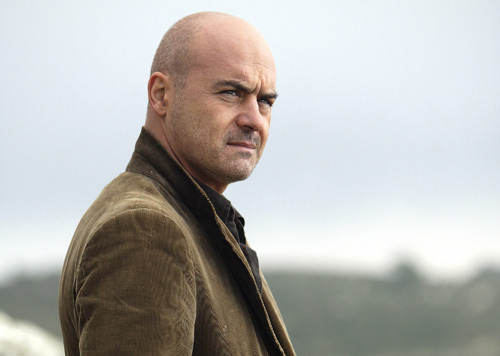 The article also commented on the number of Brits doing Montalbano-themed visits to Sicily! I was gobsmacked. When we did a little bit of web surfing, we discovered that actually people from all over the world love Montalbano (much of this coming from comments left on TripAdvisor about Montalbano’s house, which some canny Sicilian has turned into a Bed and Breakfast). Is it just that we all love a good yarn well told, and a good detective story has all the makings of a good yarn? Is it the Italianness of the character which attracts people? The relative exoticness of the locations? Something else? As far as I’m concerned, my attachment to Montalbano goes far beyond the thrill of the detective story. It goes even beyond the characters, marvelous as they are. Through Salvo Montalbano, Camilleri depicts wonderfully well that spirit of contrariness which is very definitely part of the human landscape of southern Italy. The TV show captures this trait of Montalbano’s nicely, as it does the subtle intelligence and cynical sense of humor – such Italian traits! – which Camilleri gives to his creation. And of course Camilleri injects wondrous descriptions of Sicilian food by making Montalbano a gourmet, something which we see a little of in the TV series by having Montalbano spend a fair amount of time sitting at restaurant tables (but we discovered a web-site which lovingly lists the recipes of all the dishes which Montalbano eats!). My only real disappointment with Montalbano’s TV character (apart from him not looking like I imagine he should) is that I haven’t yet seen Salvo Montalbano’s love of the written word (which is, of course, Camilleri’s). Camilleri has peppered the books with his hero’s musings on various works of literature. I love this about him since I also like to muse (muse to excess, my wife might add) on literature. And the actual implementation of the government’s plans made it all so much worse. Corruption was rampant, with every level involved in planning and construction decisions taking its cut. Many companies only located in the south to take advantage of the government’s tax holidays; it made no economic sense for them otherwise. The moment the holidays were over they upped stakes and moved on, leaving the State to hold the baby. 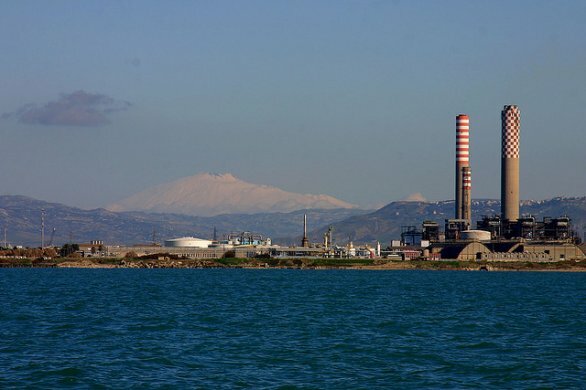 The Government couldn’t afford politically the loss of jobs, so many of these industries were nationalized, which made them even more inefficient and drew in even more corruption (and the Mafia). The Trade Unions fought to remove the only advantage the south had, cheaper labour than the north, by insisting on equal pay for equal work. And then came globalization, which was the kiss of death. It now made even less sense to have these kinds of industries in the south. So I was a small part of a larger strategy by the government to quietly sell off – often in fire sales – the miserable remnants of these industries. The Sicilians I spoke to were so angry, so bitter, so sad about the whole thing. Huge investments by the government, which would never come again, which could have raised the island out of its chronic poverty, but which had just been frittered away … Poor Sicily.